Photos by Chris Evans ©Chris Evans 2006; all rights reserved. TULLOCH (b/br. c. 1954 - 1969, by Khorassan - Florida) was one of the world's outstanding racehorses, winner of 36 of his 53 starts and 12 times second in the most important Australian racing venues. Nicknamed "Haley's Comet" by the media, the champion colt set a world record over 1-1/2 miles in the 1957 Caulfield Cup. 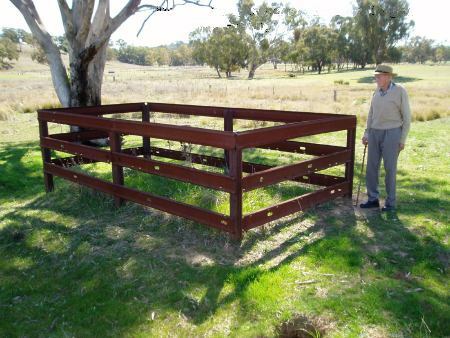 He retired to the Coonabarabran stud of his owner, Peter Haley, in 1960. Unfortunately, he was not a successful sire, and died early in 1969, at age fifteen, at Old Gowang, Coonabarabran stud, New South Wales.